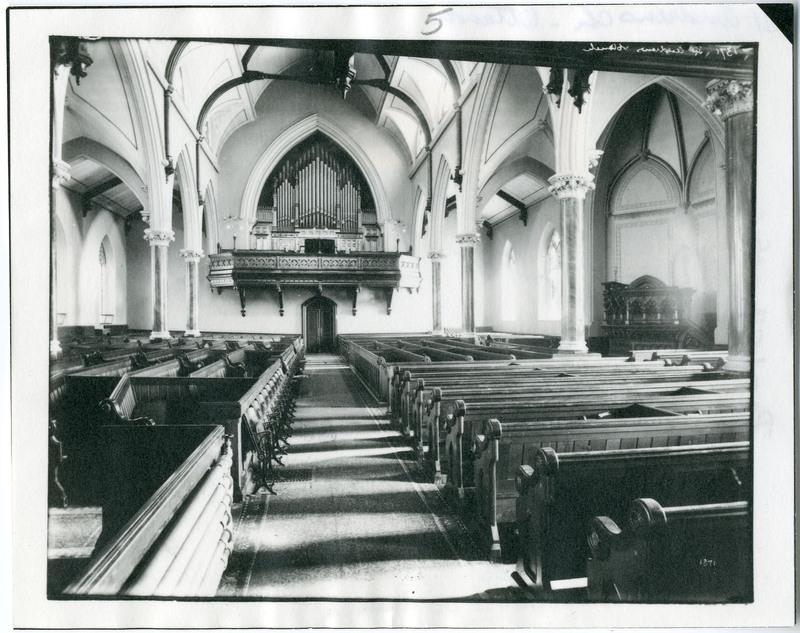 The Presbyterian Church in Canada Archives – How Should Presbyterians Worship? In 1867 Presbyterians were also quite concerned about ritualism, instrumental music, and the importance of worshiping according to Presbyterian precepts. The Home and Foreign Record of the Canada Presbyterian Church published a section entitled “Presbyterian Worship – Fundamental Principles” in the February 1867 issue (p. 100). “Scripture is the only safe guide”, wrote a contributor. The Home and Foreign Record of the Canada Presbyterian Church criticized sermons that came to its attention which were not fully grounded in Scripture (p. 130). Likewise, the subject of Psalmody was of great concern to the Presbyterian churches in 1867. Could the psalms be changed, or additions made? This produced quite a debate. The Home and Foreign Record of the Canada Presbyterian Church quoted the Rev. W. Romaine of the Church of England to make its position known: “I want a name for that man who should pretend that he could make better hymns than the Holy Ghost” (p. 213). This sentiment was shared by many Presbyterians in Canada. 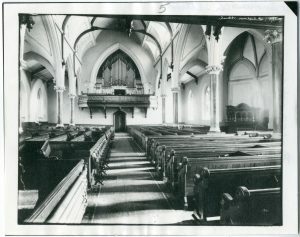 The organ of St. Andrew’s Presbyterian Church, Ottawa, c.1872. The “great organ debate” was also raging in 1867. At the 7th session of the Synod of the Canada Presbyterian Church an overture was made to allow congregations that wished to use instrumental music in worship to do so. After many revised overtures it was finally decided that the issue of using instrumental music in worship be studied and discussed again at the next Synod. In the mean time those congregations that had been using an organ, or other instrumental music, must discontinue that practice. Knox’s Church, Montreal, sent overtures of their dissent regarding being told to stop using their organ, given the unanimous feeling of the congregation towards it, but they did reluctantly comply. While the Synod of the Presbyterian Church of the Lower Provinces was cautious in their response to the organ debate, having no mention of it in their 1867 Synod Minutes, the Canada Presbyterian Church was adamantly against the introduction of organs to worship. The November and December 1867 issues of The Home and Foreign Record of the Canada Presbyterian Church contained articles giving an overview of reasons for and against instrumental music in the church. Click here to read “Both Sides of the Organ Question” published in the November and December 1867 issues of The Home and Foreign Record of the Canada Presbyterian Church.